Full On has been undergoing organic product registration in the Philippines. 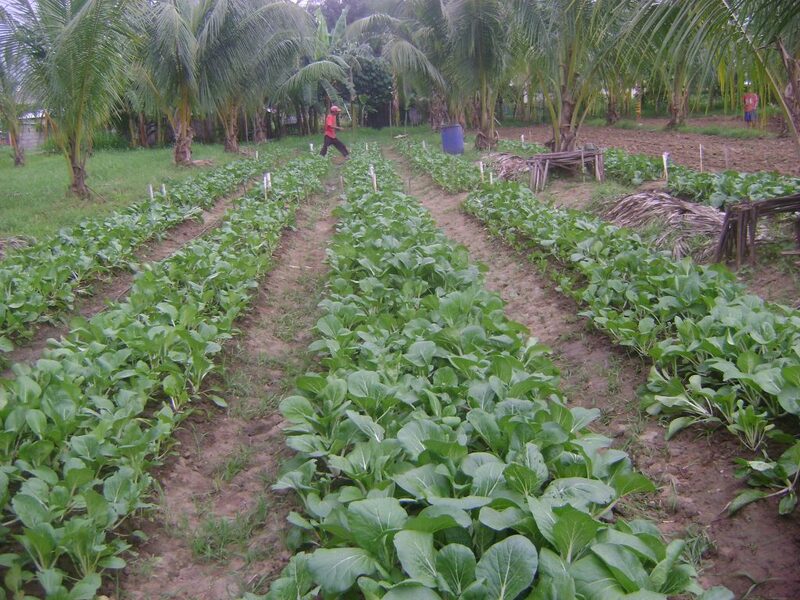 Registration requires actual field trials to be conducted with the countries Ag departments (BAFS). 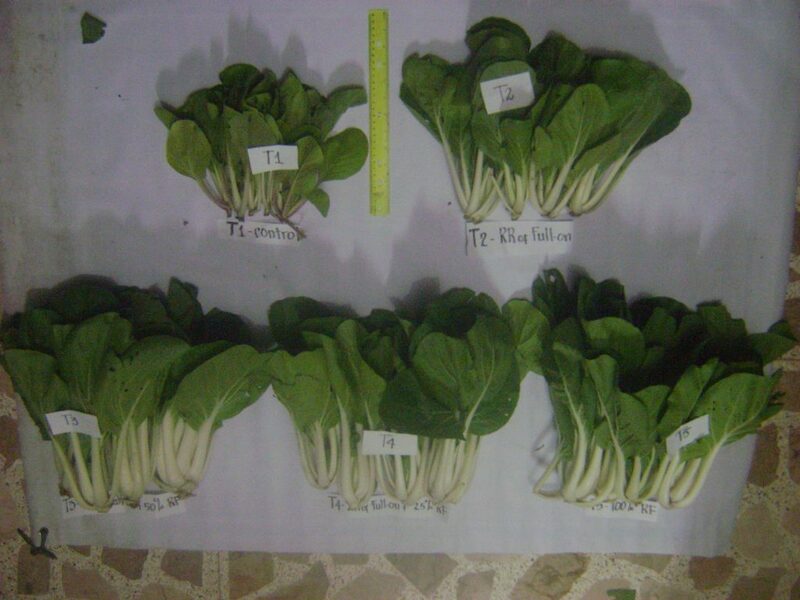 The Full On trial with Bok Choy has just finished and we’re waiting for all the data to be completed. 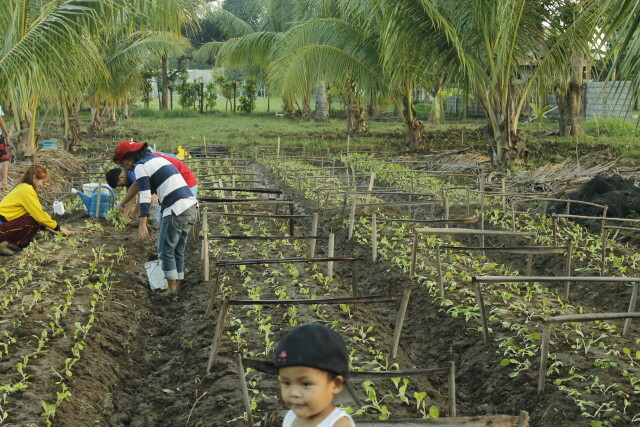 Test conducted at Tres de Mayo Farm, Digos City. T1: Control , T2: 100% FullOn, T3: 50% FullOn x 50% local registered NPK(suggested feeding regimen of the product), T4: 75% FullOn x 25% local registered NPK and T5: 100% local registered NPK. Thank you Ms Manette Eroy, BAFS registered researcher who did the test. Thanks to DavaoPonics, who’s done a great job getting government field trials implemented in the Philippines! One Response to "Full On “Crushing It” In Philippine Field Trials"
I am starting an Organic Demo Garden here at Tublay, Benguet. How could I acquire FULL ON products and how much? ⇐ The Dark Side of Nitrogen: Is America Fertilizing Disaster?